We all need mentors and others to look up to. Fortunately, for Richardson & Richardson, we have an entire network of mentors. 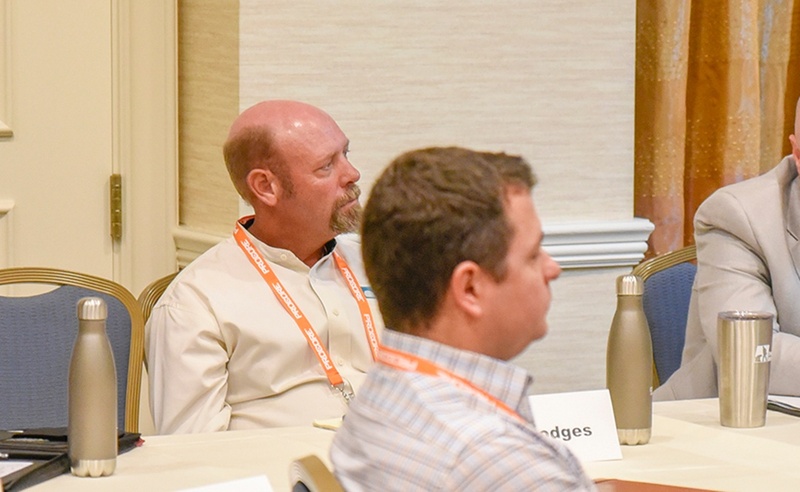 Last month, a few of our team members attended the Construction Leadership Network (CLN) conference in Tampa, Florida to practice win-win sharing. The CLN membership is comprised of a diverse group of entrepreneurs, commercial contractors, and construction industry providers from throughout the U.S. and Canada. Vice President Brandon McCutcheon, Marketing Director Katy Richardson, pictured left, and Field Manager Byron Hodges, pictured below, spent three days in Tampa at the annual Construction Leadership Network conference. They learned about company differentiation, performance management, and how to find and develop the next generation of leadership. They attended focus groups on marketing, business development, and time management. Katy explains, “We find our membership at CLN provides valuable relationships with other contractors throughout the United States and Canada. We appreciate the diversity of the companies and regions represented because it gives great insight into our market and industry. We also appreciate that CLN fosters a vibrant learning environment with special speakers and focus groups." Our team also learned about creating a positive company culture and mastered seven actions for ensuring workplace safety. They met within peer groups and listened to panel experts talk about project management and C-Suite leadership. “I personally enjoyed both the inbound marketing and the RFP Questions You Hate seminars. With technology progressing so quickly, it was neat to see the tools available through HubSpot and to see the opportunities to galvanize our marketing with these tools. The RFP Questions You Hate seminar brought some good insight into how we can help owners better understand the benefits our experience can bring, and how we can do it by coming from a more authentic and empathetic place,” says Katy. 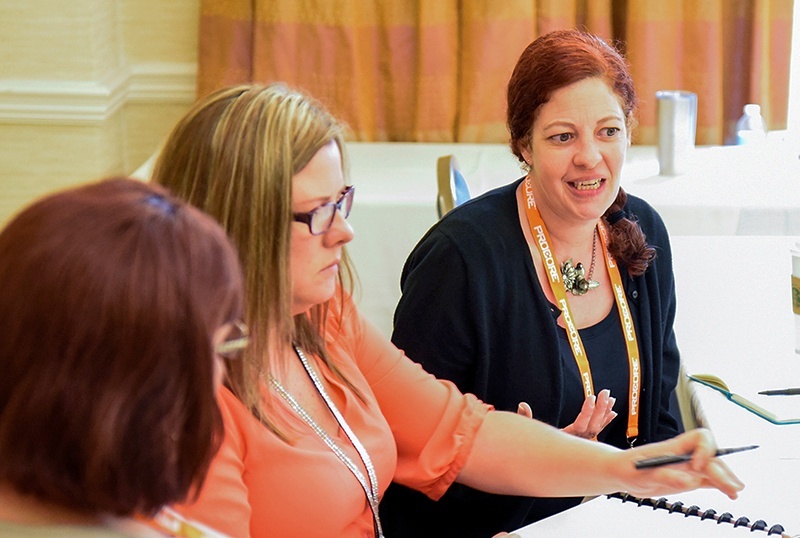 Throughout the year, we are connected to the CLN membership by a web-based tool that enables us to communicate in forums, share documents, learn about each other’s capabilities, and strengthen our bonds. We value our membership in the CLN because it makes us better contractors and construction managers, and we can use the information we learn in our businesses as well as on the jobsite. The R&R team is already looking forward to next year’s network meeting where we will have the opportunity to connect with our friends and mentors who share the same values and out-of-the-box thinking that we enjoy. Katy reflects that “We have seen that the benefits of creating relationships and sharing with our peers are two-fold: when pursuing projects in other regions that are unfamiliar in scope, we have been able to get advice or support from members, as well as information about new technology and programs. We have also been able to provide some of this support to some of the other members. This reciprocal sharing has been win-win for everyone involved and it’s a good feeling to know you have the advice and experience of such a varied group at your disposal. Plus, the friendships forged at CLN last for years and go beyond just the annual meetings."